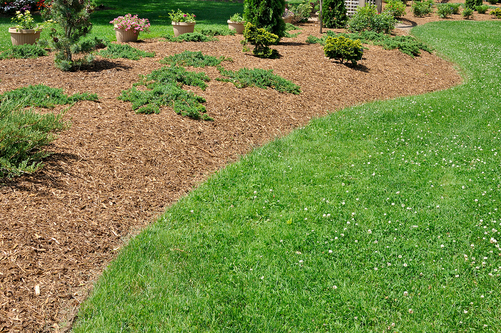 At Arvada Tree Care we take care of all your landscape enhancement needs. We assess your site and design and install with minimal disruption. Our landscape architect will consult with you on your vision and any budgetary concerns. We can makeover your entire site or restore and redesign. We know how to reduce your costs for maintenance while increasing the impact visually. Our creative landscape designer and architect will improve your curb appeal dramatically. You may want a special feature accented, improvements in safety or traffic flow, control of erosion and drainage, pruning correction, hardscaping with brick pavers or accent lighting, etc. All designs will connect with one another and blend seamlessly while matching and accenting your home’s architecture. All of our installers are educated, highly-trained and professional. They will respect you, your home and property. ​We acquire all permits as well as any documentation on zoning or deed restrictions. We also place the call required to mark off any underground utilities. We then perform a design analysis at your site where we measure and record unique features, the layout and topography, existing vegetation and take several photographs. We will meet with you and ask many questions about your lifestyle, personal style and your dreams and vision. It’s always helpful if the client is prepared with pictures or cut-outs from magazines in order to communicate their wishes. We can then prepare some preliminary designs on our vision for your landscape and seek your feedback. Much discussion will take place. After that you can expect a final presentation of a drawing including all hardscaping materials, structural elements, planting schemes and garden proposals. After your final approval of all proposals the work of installation can begin. Contact Arvada Tree Care today so we can discuss all of your landscape enhancement needs. We are your affordable solution to professional and an aesthetically pleasing landscape. We are expedient and avoid as much disruption as possible to you. You always receive a free written estimate prior to the start of any work. There are no surprises and you always know what to expect. Our goal is to exceed your expectations and turn your dreams into reality. You should expect nothing less!